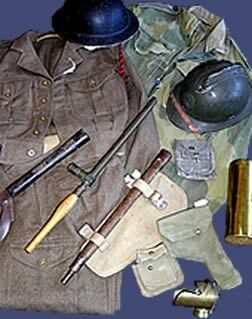 Offering a wide variety of military and related items including bayonets, knives, swords, deactivated weapons, medals, badges, uniforms, webbing, watches, whistles, police items and much more. We endeavour to photograph and describe items accurately, all of which are covered by our full money back guarantee. 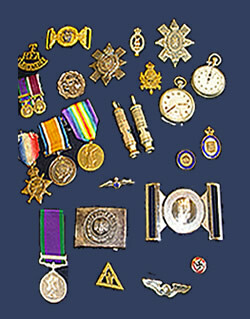 We are keen to buy original items so if you have anything you think will be of interest please let us know. 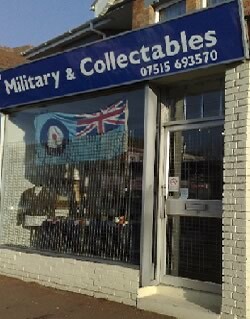 Please take the time to browse through the items in our on-line shop; we are sure you will not be disappointed and we look forward to dealing with you.